As we speak (er, type), people around the world are letting out collective shrieks, as they’re bludgeoned by the terrifying sound of Hollywood’s latest re-imagined clown shoe. If you’re yet to fall into the creepy clown trap, you probably fall into one of two categories: you either have the weakest of stomachs human beings can suffer, and thus hate horrors – like me – or you just plain don’t can’t abide those balloon twisting, tiny carpooling, juggling beta-people we trust with our blood for some reason. Now, not liking clowns is fair enough, and probably understandable, given their subservient place in our society, but fear of clowns is something altogether different. Not altogether different enough to warrant its own psychological term, but enough to fall under the umbrella of “coulrophobia”: a fear of masked figures. Dr Dena Rabinowitz, a clinical psychologist who specialises in anxiety disorders, explains that a fear of clowns is not something a person is innately born with, but that there are two inherent causes that amp up the fear. First is that human beings are needy creatures, and they need to know what their conversation partner is feeling at all times. We rely on our ability to read a person’s facial expressions to understand their emotions and see their motivations. Add a thick layer of white face paint, and some overly exaggerated facial features, and that ability to judge is gone. Second, we tend not to trust people who are always happy and laughing. After all, someone who is burdened by the weight of unspeakable secrets could never be that happy. Throw in the uncanny valley that clowns dwell in – the notion of something seeming almost completely normal, and yet a little bit off – and you start to understand where the fear factor comes into play. Dr Rabinowitz adds that often the fear that Pierre brings with him is down to where he can be found clowning around. You’d expect to see a clown getting silly at your local circus, but move him to some conveniently misty woods? Suddenly he’s not so funny. Indeed, it’s this context aspect that seems to account for much of the phobic nature of clown phobia. People with a fear of clowns develop such from a traumatic event in childhood around clowns, from a family member or relative telling them that they should be afraid, or from having an anxiety attack around clowns – mentally pairing them in the process. 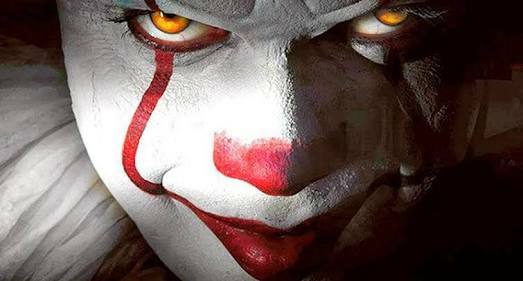 Knowing that won’t help, however, and it shouldn’t give you any reason to race down to the cinema; watching clown-based horror movies will, in fact, reinforce the idea that clowns are dangerous and scary. No, if you want to be able to appreciate a well-executed juggle as much as the next person, exposure is key. Dr Rabinowitz suggests that you take that understanding that clowns are not dangerous, and watch someone put their regulation make up on. In doing so, you will come to see that they are quite literally just people underneath it all. Of course, that’s only if you really need to tackle your fear in the first place. Dr Rabinowitz explains that you only need to have your phobia treated if it is impacting your day to day life. If you can’t bring yourself to set foot in a cinema for fear of a clown cameo, or avoid town for the entirety of a circus tour, that’s when you should try to make some changes. Otherwise, you are free to live your life as fear-riddled as its always been. If that’s not good news, then I don’t know what is.